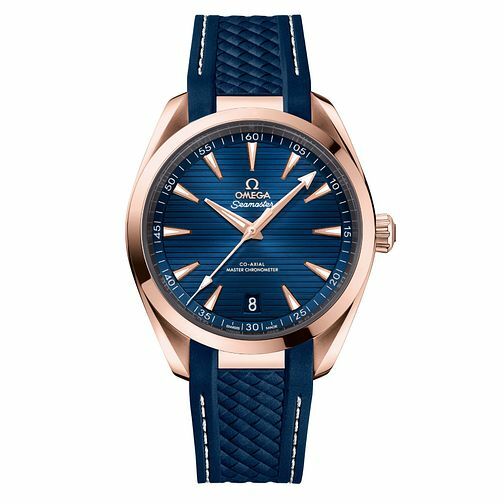 Weaving together the technical excellence of the Seamaster Aqua Terra collection with modern day style, Omega crafts a watch made with an 18ct rose gold case, with a midnight blue dial featuring a horizontally accented texture. The nautically themed indices and hands enhance readability and the piece is finished with a stylish blue rubber strap that gives it poise. This particular watch has been certified as a Master Chronometer, giving it higher levels of magnetic resistance in adverse conditions and has been Swiss-made for years of precision in watchmaking.